Isn't this the nicest runner? 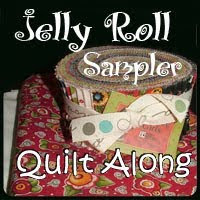 It was my swap from Kathy L a member of the Quilter"s Hollow group that I have been with for over 10 years. Every Christmas we have a secret swap. This year you had the choice of a runner or table topper. This fits perfect on my kitchen table. The flowers are the left overs from Flowers my daughter brought for Thanksgiving.. 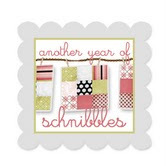 Here is the cute Hallmark set she also included which has note paper and envelopes. She also had a little round of special soap from Denali, Alaska. She and her husband had taken the same cruise I did , a couple weeks before I did. Oh, that runner is just so beautiful, I love it! What a beautiful gift! Hope you are having a wonderful and blessed holiday! Just wanted you to know that I have posted about the rose star mini quilt I've made and I'm having a quilt along!